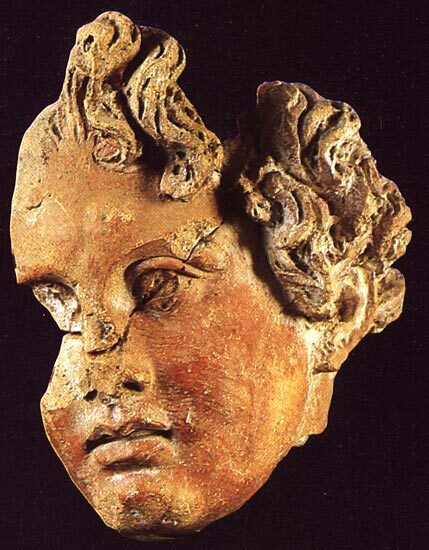 Terracotta head of a young man in the Hellenistic style. Late 4th — early 3rd centuries BCE. © Photo, text: GIOVANNI D’ANNA “LEGGENDE E TRADIZIONI DELL’ANTICA ROMA”, ARCHEO, N. 31, p. 24.